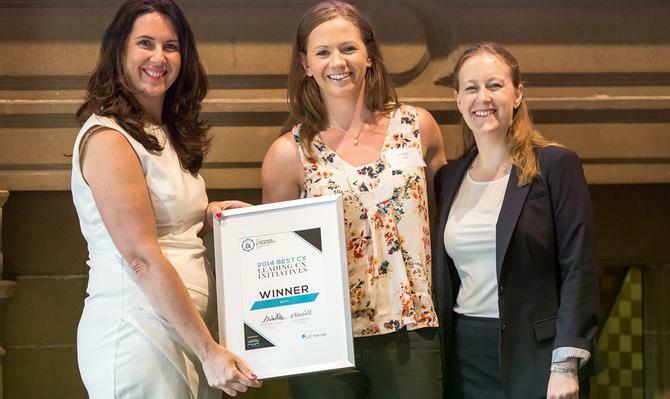 Healthcare provider, Bupa, has been awarded the Best CX Leading Initiatives award in recognition of its efforts to transform into a customer-centric organisation with projects such as Voice of the Customer, which collects customer feedback in real time. The award was presented as part of the inaugural Best Customer Experience Companies List in Sydney today. The list was developed and presented by customer engagement strategy consultancy, Fifth Quadrant, and supported by CMO and event sponsor, Oracle. Bupa Australia senior customer experience consultant ,Jessica Leefe, told CMO it started working on the Voice of the Customer project with Fifth Quadrant 18 months ago. “After each [phone] call or service interaction, we survey our customer to understand what their feedback and experience was. We can learn from that, identify key areas for improvement and put initiatives in place to work on those areas and improve them,” she said. For example, the price rises on health insurance premiums every year. Bupa is obligated to communicate that insurance premium rise to its membership base. When that insurance premium price rise happens, Bupa can use specific details about a customer to help support them and offer advice. “We can’t really understand that unless we are talking to our customers,” Leefe said. Executives from Bupa’s partner company in the United Kingdom recently visited Australia to look at Voice of the Customer. They were so impressed with the project that there are plans to eventually roll out the program globally, starting with the UK. Another way Bupa is trying to improve the customer experience is working with customers on design solutions to improve the experience of going to the optometrist. Leefe explained the organisation runs optical stores where customers can get eye tests and pick out new glasses. However, the customer experience journey has not being without its challenges for Bupa. When the organisation began the Voice of the Customer program 18 months ago, Leefe looked at Bupa’s Net Promoter Score (NPS) and was dismayed to see a very negative score. “In the last 12 months, we have improved our Net Promoter Score by 20 points. If you line that up against other competitors in the health insurance industry, that helps us to line up as even. We’re not miles behind everyone else,” Leefe said. However, she said it is less about the score and more about the richness of the feedback being received. “If we’re going to be a brand that customers love, what are the experiences that can support that?” Leefe asked. Commenting on the Best CX Leading Initiatives award, Leefe said it demonstrates Bupa is on the right path. “From our global CEO, Stuart Fletcher, all the way down, we have an ambition to be customer led. We have an internal stand which is about being loved by customers and we have a vision to help people lead healthier and longer lives," she said.